Amandine Gonçalves has been a lawyer since 2008. She holds a master’s degree in vocational studies of Labour Law and Human Resources Management from Paris X University. Amandine advices corporate clients and industry groups in various fields, such as the chemical industry, wholesale and insurance. 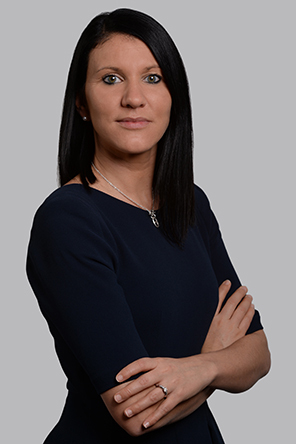 She provides both counsel and litigation services for corporate restructuring transactions, transfers of undertakings, labour-management relations and matters involving working time. Amandine manages high-risk individual cases and class actions (asbestos-related litigations, working time disputes and redundancies, among others). Amandine runs training sessions for organisations such as Liaisons Sociales and RH&M.